Due to Android’s relatively open nature, its users have what’s called the freedom of choice, something which, well, iOS fans do enjoy but to a lesser extent. Because of this, there are many alternatives available to pre-installed apps. One such pre-installed app which has way too many alternatives (which is a good thing) is the stock Browser; there are over a dozen alternate browsers out there for Android enthusiasts to try. One such browser is Boat Browser which we’ll be talking about today. It’s getting really difficult for browsers to differentiate themselves from each other on Android these days. Dolphin HD has strong add-ons support, Skyfire plays flash videos optimized for smartphones, Firefox for Android has syncing capabilities with the desktop and Opera Mobile has Link, Sync and Turbo. So, in this crowded market, what does Boat Browser offer? Firstly, it has this overall feel which is quite different from other Android browsers. If I had to describe it, I’d say Boat Browser mixes some of the smoothest elements of Mobile Safari with the functionality of Chrome. I say this because opened windows act like they do in Safari while the tabbed UI and Most Visited homepage reminds me of Chrome. For folks who prefer separate windows for each open web page, Boat’s tabbed UI can be switched off. We found it to be quite fast during testing. Maybe not as fast as the stock browser but definitely quicker than the likes of Dolphin HD and Firefox. Functionally speaking, it has the usual features which we’ve come to now expect from a strong alternate browser: smart address bar, user agent switching, full screen mode, built-in download manager and, our favorite; the ability to switch tabs using volume up/down keys – it’s something we found quite useful. 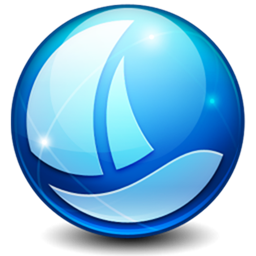 Boat Browser is a fast and powerful web browser. 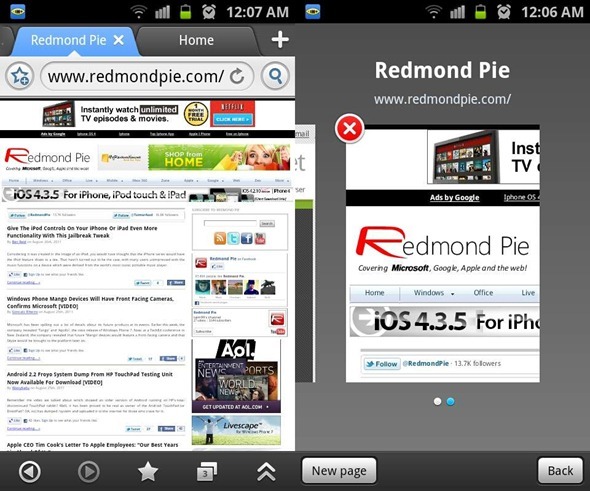 We’ve personally tested the web browser on our Samsung Galaxy S II unit and can confirm that it works as advertised. If you’re interested, you can give it a download from the links embedded below. There is a also a Mini version of Boat Browser available which is meant for underpowered Android smartphones. We suggest trying out the non-Mini version first to see how it works and then going for the Mini version if things don’t go smoothly. In conclusion, if you’re looking for an alternate browser for your Android smartphone, do not hesitate in trying out Boat Browser. It may have a funky name, but its feature set and distinct, smooth looks give it an edge over other browsers and we wouldn’t mind recommending it to our readers.